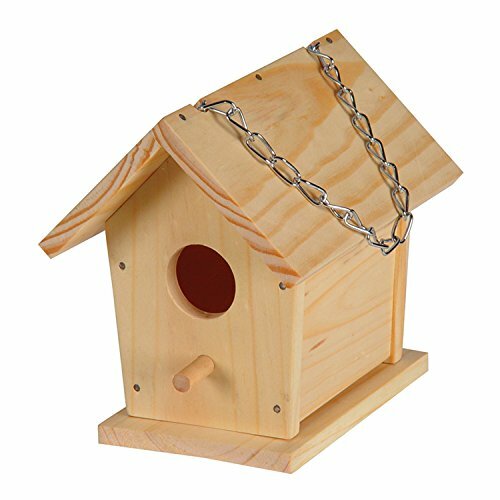 Build A Birdhouse from Toysmith will give you tons of fun building and decorating your very own 6" birdhouse. Once decorated, hang it outside to see if you get your first bird family! Kit includes wood pieces, four paint pots, paint brush, nails, glue and instructions. Fun to build and functional as a birdhouse. Ages 5 and up.